Premium is a word MINI likes – especially when it comes to the brand’s fresh Convertible. The BMW owned marque claims it has the only ‘premium’ drop-top in the small car market, and it says the latest MINI Convertible guarantees to both delight current owners and be better positioned to entice Johnny-come-latelies. We went to Lisbon in Portugal to test drive the car. The Cowley-assembled MINI is now in its third generation and has been around for a few years in hatchback guise, but it’s a first for the Convertible to be constructed using the third-gen platform. In theory, the car looks like a winner. It can now seat four, it has a larger boot, its electrically folding roof is better and it houses state-of-the-art tech. Obtainable as a Cooper, Cooper D, Cooper S and John Cooper Works, the price-tags commence at £18,475 and climb to £28,205. 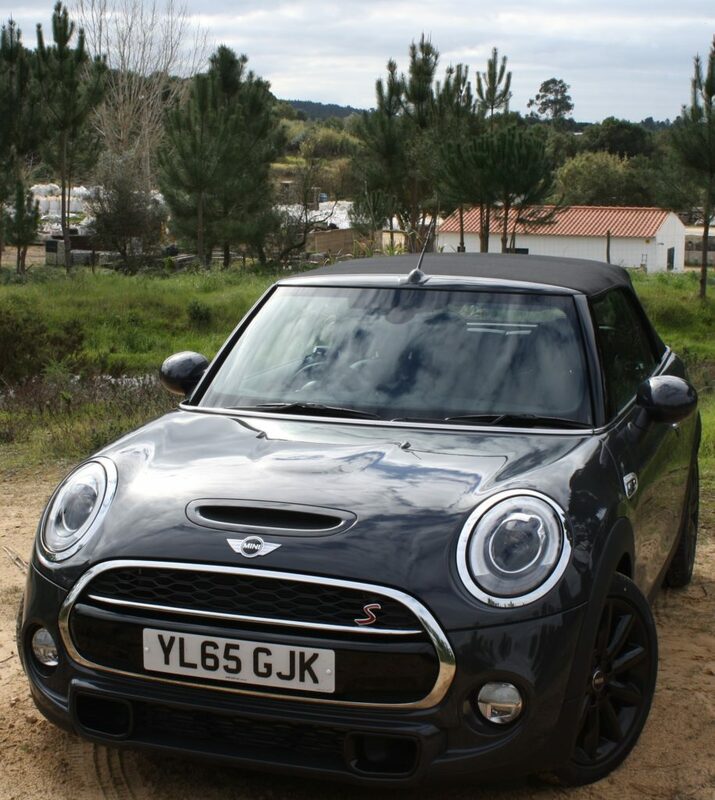 The Cooper S, on test here, is £22,430, or £24,055 with the smooth-shifting six-speed automatic gearbox. 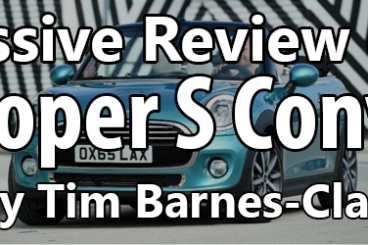 The 192hp 2.0-litre turbocharged Cooper S delivers fistfuls of fun. Yes, it is fast, but not manically so. The classic zero to 62mph sprint is achieved in a smidgen more than 7 seconds, which is rapid on one hand, but it is not the thrill seeking projectile some purists will demand. It just never feels as speedy off the starting blocks as you anticipate. MINI’s Cooper S is more inspiring when you become conscious of its pinpoint accurate steering and when you take advantage of its turbo-charging. This gives the in-gear pace a spicy shot in the arm. The manual gearbox is easy-going and swift, but it’s difficult not to be charmed by the automatic transmission. Here, there are numerous settings to amuse yourself with, as well as paddles to shift gear with. 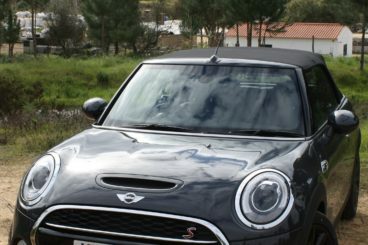 It all makes the MINI Cooper S a genuinely enjoyable car on twisty roads that require lots of dancing through the gears. This up-to-the-minute model has a sports mode that makes the suspension stiffer and perks up throttle reaction. Yet you end up pondering if there is much purpose if not you are not racing around a dedicated circuit. In its place, the benchmark suspension set-up creates a ride that is a nice surprise. It is comfy and, although the rear of the car does skip a little over irregular road surfaces, it grips well in the main and sops up bumps and potholes agreeably. It also provides the dexterity you would envisage from any sprightly MINI. There is an authentic feeling of BMW about the way the MINI’s interior has been screwed together. It’s all very well finished, with upmarket trim and hip-hugging sports seats, and it’s a pleasant place to be. The front seats offer respectable adjustment, as does the thick, sporty, easy-to-grip steering wheel. The car has obviously been constructed so that the long-legged, as well as petite people can be seated just as happily. As standard, there is now a reversing camera. This is in reply to the car’s poor rear visibility with the roof raised or, indeed, with it lowered. 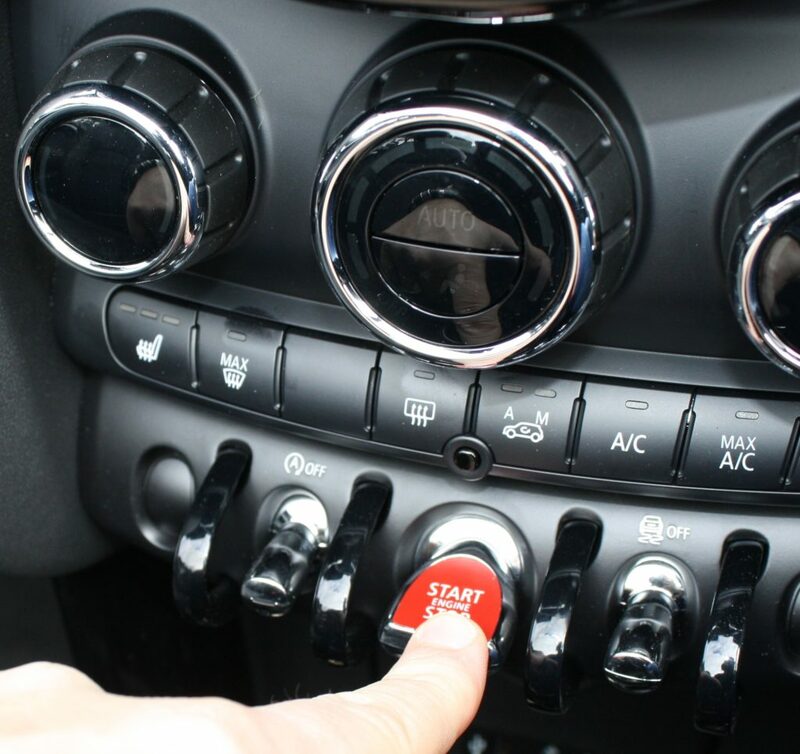 And there is more space for belongings – up 25 per cent – with some extra levers to flick up the back of the MINI’s hood to gain better access to the boot and make full use of the room available. 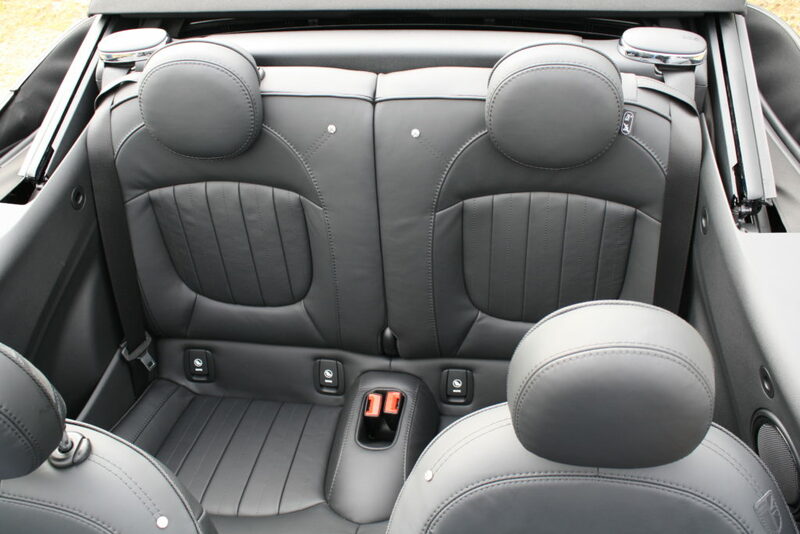 The most noticeable step-up for the new MINI Convertible is the additional space in the back seats. You can now, just about, get four adults into the drop-top – but a quartet of six foot, broad shouldered men might struggle. The electrically-operated roof now concludes its movements in 18 seconds, and it will go up or down when driving at sensibly restrained speeds too. 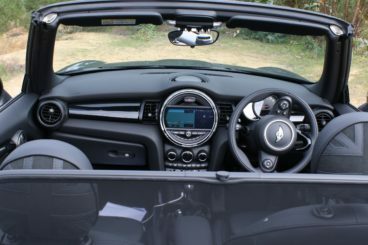 The cost of going roofless with a MINI is expensive, compared with the Hatch. For example, a Cooper S Convertible costs £3,590 more than its equivalent tin-roofed sibling. That said, £22,430 is still not an arm and a leg to pay for a fashionable small car. Especially considering the MINI has a long British heritage and an injection of modernity, courtesy of Germany’s Bavarian Motor Works. 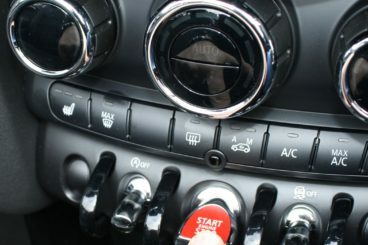 The potent all-new MINI Cooper S’ fuel economy is 46.3mpg, or 48.7 when mated to the automatic gearbox. The CO2 emissions figure for the Cooper S is 139g/km, or 131g/km for the auto transmission. The lowest CO2 figures for the latest MINI Convertible are for the 1.5-litre diesel, at 100 for the manual and 104g/km for the automatic. The new MINI Convertible is all set for its March on sale date in Cooper, Cooper D and Cooper S guises. The fresh-for-2016 model will hit British showrooms, priced from £18,475. While that price-tag may seem inflated next to the £16,295 you will pay for its key competitor, the new DS3 Cabrio, it is cheaper than the £19,465 you will have to fork out to get into a basic VW Beetle Cabriolet. MINI’s offering is not quite as composed as the French-made DS3 Cabrio, or as comfortable. That said; the MINI still looks every bit as attractive as it did a decade or so ago, when BMW devised the small premium drop-top segment that the DS3 is now trying to contest. And that is still a huge element in the MINI’s favour. Yet, in reality, the MINI is really not as generally impressive as the DS3 dynamically, and it is not quite as refined, either. On the other hand, the feature that characterises the MINI, more than anything when it’s motoring, is its steering – and this is still the car’s greatest forte. It responds like a precision-guided missile when you direct its miniature muzzle at a curve – and it feels great. The trouble is, the DS3 does just about all the MINI does for less money. And, apart from its marginally less responsive steering and less clear-cut gear change action, it pulls it off better, too. Really chuck it about and there is too much tail end movement in the MINI, and, consequently, it feels not quite as self-possessed as the DS3. Conversely, drive leisurely, and the ride never fully calms down. The MINI does its best to hold its own, but, in the long run, it can’t quite compete with the 2016 DS3 Cabrio’s noticeably more rounded competences. But, that is not the end of the story. What makes the up-to-the-minute MINI a present-day classic Convertible is its design. This has continued to pay homage to the definitive MINI from the 1960s. 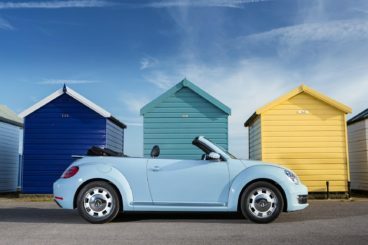 The same can be said for its other main adversary, the legendary Volkswagen Beetle Cabriolet. Anyone that has ever driven a smallish rag-top will know what the VW Beetle feels like to drive. The present model is no different from its forerunners; it is the same achingly hip Cabriolet, with a dash of up-to-date tech. It is still pleasurable to motor along in, even if it doesn’t feel quite as quick to respond as the 2016 MINI convertible. But the MINI still isn’t quite as comfortable at the Bug. In the roof-retracting challenge, the Beetle is the fastest out of three cars here. 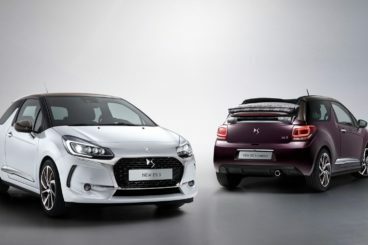 Its roof finishes its business in 9.5 seconds, whilst the new DS3 Cabrio’s top will draw fully back in 16 seconds. The MINI Convertible’s roof does it in a slow 18 seconds. Nevertheless, there are clear areas where the MINI fares better, chiefly against the Volkswagen. Let me explain. As mentioned, the whole feel of the MINI takes you back to the swinging sixties. Its traditionalist design and tailoring brings to mind a period when everything was less complicated and relaxed. Also, the MINI seems more tightly packed together. Granted; it’s bigger than before, but it still feels nimbler than the Beetle, making it easier to park. On the whole, though, the superstar remains the superstar. The VW Beetle conquers the MINI still, in my opinion. But that isn’t really bad news – or even a surprise for the iconic Brit-mobile. After all, the Volkswagen Beetle has nearly 70 years of experience in the convertible line of business. It has also succeeded in winning the hearts and minds of millions of motorists all around the globe during its lifetime. So, when you bear in mind that MINI hasn’t been making its Convertible that long, things look rosier for the car. The DS3 is the most practical out of the three open-tops. The new Cabrio will seat five-up in relative comfort, whilst the MINI Convertible just about manages four-adults for the first time in its history. This is because it is now 98mm longer, 44mm wider and 1mm higher. Like the MINI, the VW will seat four – but it is a squeeze. Mercifully, better packaging means the MINI’s tiny boot has grown to 215-litres. But the Volkswagen Beetle’s is 225 litres and the DS3 Cabrio is a whopping 245 litres. It has to be said; the VW is marvellous if you are in the right frame of mind and, as such, it is the coolest roofless ride here. Sure, the MINI is brimming with unadulterated chicness and it has that crisp steering, yet the fresh DS3 Cabrio can’t be ignored for being the more rounded and realistic entertainer. So, should you buy the MINI Cooper S Convertible? Rationality isn’t the overriding factor involved when buying or leasing a small convertible car, but expectations of quality are high when it comes to this segment. The all-new MINI Convertible definitely ticks that box. And even though no one ever goes for a convertible for space reasons, the fact that this MINI now offers room for two in the back and a bigger boot, can only help sway some towards it. 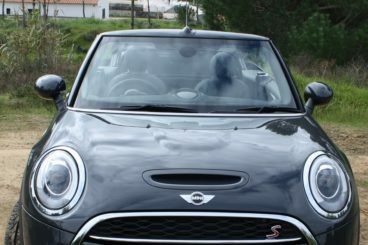 Above all else, though, the MINI steers like a go-kart and leaves a smile on your face, especially when behind the wheel of the Cooper S. Some may find it hard to differentiate the new car from earlier drop-top editions, but that’s okay. The MINI’s design is ageless. Fill out the form below with your details, including whether you’re looking to lease or buy and we’ll give you a call within 24 hours.